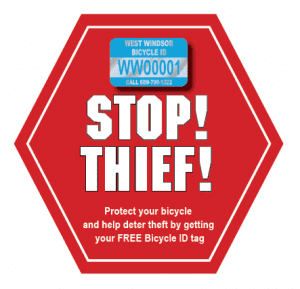 Deter Thieves and increase the likelihood that you can recover a stolen bike by registering your bike with the West Windsor Police Department in a new program offered in collaboration with the WWBPA. How does it work? Simply download a form, fill it out with your bike’s description and serial number and return the form to the police department or the WWBPA to get your bike registration tag.